Summer was a busy time for most Hopkins students, if busy summer reading and catching up on sleep counts. However, many other students had the opportunity to get off of their couches and go on unique travels around the world whilst exploring different cultures. An experience that stood out to Kendall in particular was a visit to Inle Lake in Myanmar, where she viewed a creative way to harvest tomatoes. To be able to view innovation in another country is one of the many reasons Kendall suggests that traveling is an asset to one’s education and knowledge. While some were learning about new cultures, others were getting themselves involved within a language they had studied throughout the year, such as five of Hopkins’ own Italian students. All at various levels of mastery, Lexi Zyskowski ‘20, Aaron Kleeman ‘19, Ryan Viores ‘19, Caitlin Gilroy ‘18, and Emilia Cottignoli ‘18, along with Hopkins Italian teacher Teresa Picarazzi, spent July eighth through August fifth traveling through Ferrara, Italy, with 35 other students from all over the United States. On their trip, they experienced town life with host families and learned to live in a moderately sized Italian city, all while traveling almost exclusively by bike. They attended classes in the morning and participated in activities during the afternoon varying from pasta making to touring Castello Estense, a medieval castle located in Ferrara. Lexi Zyskowski refected on the trip and said her favorite parts were, “The friendships I made both from Italy, and people all over America, staying with host family because it was the easiest way to use and learn the language, and the authentic Italian food.” Just like Kendall, Zyskowski emphasized the importance of traveling to expand one’s education, in particular how, “In Italy, I got to speak more Italian to more people and became more comfortable with the language, which is something you can’t always get in the classroom.” From weekend trips going to Venice and Florence, to being involved in a new culture, the Italy trip was a once in a lifetime language immersion experience. At the root of many students’ summers was the school, itself: Hopkins was a supplier and host for much summer activity from extracurricular and volunteer programs to summer school and even preseason practice for fall athletes. One representative the HARPS program, Gigi Speer ‘18, was able to work with Yale under- graduates at Alanna Schepartz’s Chemical Biology Lab, where, as she described in “non-sciency words,” she was working to “[create] something that hasn’t yet been created that could expand the capabilities of proteins and further enhance the cell.” Speer also sent a message about the HARPS program, saying, “It was a lot of fun and I recommend every rising sophomore to apply for HARPS. If it wasn’t for that class, I would not have done this internship.” Back on school grounds, Hopkins Summer School provided many classes for credit and foundations for both Hopkins students and anyone else looking for a refresher or enhancer class. Atlantic Communities II student Arushi Srivastava ‘20 commented, “It was hard work but fun at the same time.” Additionally, she explains that it made her feel ready for school to start because she had been studying over the summer. 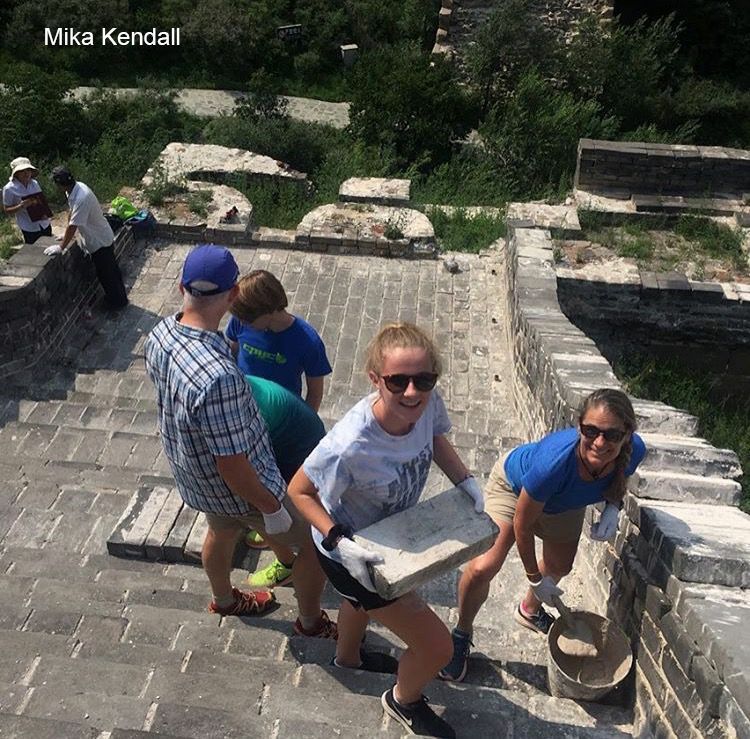 From the ends of the globe to the core of campus, Hopkins students certainly did much in terms of flling their summer calendars. Despite not being a part of the school year, every student learned about the world around them or in preparation for the coming year no matter the location they visited or activity they engaged in. Don’t worry though, sleeping fourteen hours a day is just as appealing as well.